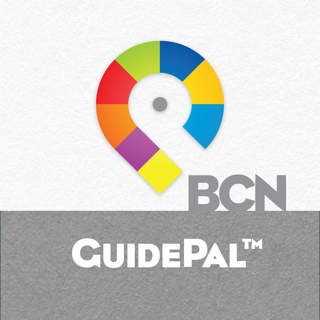 BARCELONA, the new app in the Art & Culture series, is something different in tourism: a cultural travel guide that offers comprehensive, expert coverage of all the sights and attractions, all the things to do and see, complete practical information and detailed maps. BARCELONA is the indispensable guide to Europe’s most exciting city, for exploring the depth and richness of its history and its vibrant life of today. We don’t do hotels and restaurants and shopping; instead, we offer a cultural companion that can enrich your visit like no other guide, on paper or pixels. 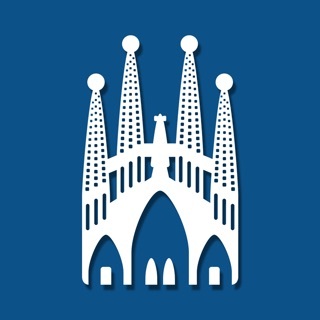 The entire contents of Barcelona Art & Culture is freely available. There are ads, but a single in-app purchase will remove them and upgrade the app to work offline. Authors of seven books on Spain and Catalonia, Dana Facaros and Michael Pauls (www.facarospauls.com) have been around the block a few times. After a career as travel writers spanning centuries, they know the Mediterranean like a flea knows a dog. Currently installed just over the Pyrenees in southwest France, Barcelona is where they go for a dirty weekend and some stuffed squids. Tailor default font size set and initial map view to the device's screen size. Make buttons in header and footer easier to tap. Gentle prompt for a review. Barcelona is my favorite of the cities I've toured in about 20 trips to Spain, France, Italy, England, Ireland and Greece. This app makes me yearn to go back for more. Barcelona Unbound provides the perfect blend of history, art, photography, practical travel advice and directions to gastronomic delights for those who are visiting or just want to know more about one of the most striking cities in Europe. Anyone who has enjoyed the numerous travel guides on Spain, Italy, France, Greece, Hell, Mars and beyond written by the wife and husband team of Dana Facaros and Michael Pauls will come away well satisfied with the couple's initial foray into electronic publishing. If Barcelona is on your itinerary, Barcelona Unbound belongs on your iPad and in your travel bag. Facaros and Pauls lead the journey through the largest city in Catalonia. Anarchy, Sagrada Familia, Gaudi, Mirò, Museu Picasso, Santa Maria del Mar, Vicky Christina Barcelona walking tours, the Catalan Crapper, Museu de l'Eròtica, it's all there, and then some. 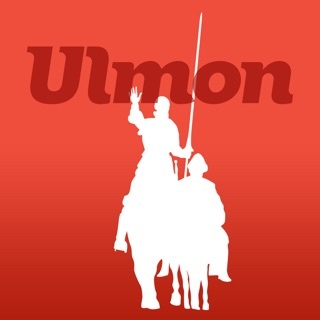 Whether you are planning a visit to the second largest city in Spain, or just want day dream and read about a walkable city where beauty and creativity abounds, this app is the guide for you. Barcelona Unbound really ripped the boundaries from Barcelona. The map feature has a variety of categories which made finding museums, restaurants, or any of the attractions a simple task. The app is easy to operate, even for a novice, and we had no trouble using it to access any information we needed. There were very useful hints such as getting our Sagrada Familia tickets online. We walked past a line that curved around for over a block. We took their suggestion to try Les Quinze Nits and went back again for very reasonably priced and tasty meals. Since we didn't find many explanations in English around the city, the background and detailed stories enriched our experience at every site. I never would have known about the secret past of Christopher Columbus or the elevator in his monument or the impact of the anarchists. The vivid photographs were just an added bonus. I hope that Facaros and Pauls write apps for the places we want to visit next year. Barcelona Art and Culture really ripped the boundaries from Barcelona. The map feature has a variety of categories which made finding the museums and all the attractions a simple task, identifying each flag with a name and a picture. The app is easy to operate, even for a novice, and we had no trouble using it to access any information we needed. Useful hints, such as suggesting we get our Sagrada Familia tickets online ahead of time, had us skipping a line that curved around for over a block. Since English explanations around the city were rare, the app's background and detailed stories enriched our experience. I would not have known about the secret past of Christopher Columbus or the elevator in his monument or the impact of the anarchists The vivid photographs were an added bonus. I hope Facaros and Pauls create apps for all the places we want to visit.